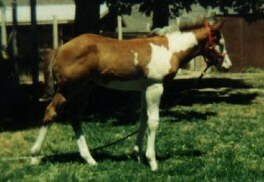 Bay Overo at Stud "CLEVER LEE"
I have had several studs before but nothing like him. 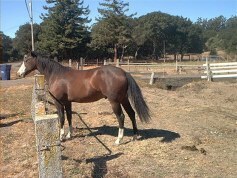 You have to meet him to believe it, this Stallion has the BEST disposition you could ever ask for. 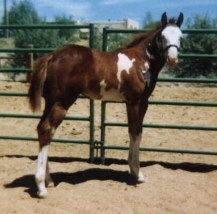 "Lee" has sired some of the best babies I have ever raised. 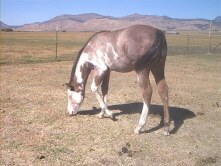 He continually sires foals with his awesome disposition and conformation and they are such a pleasure to work with as he is. 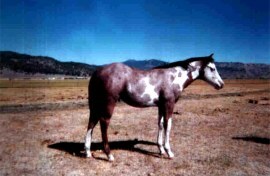 "Lee" Stand approx. 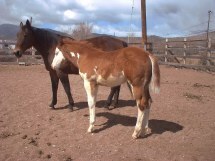 15.1 but don't let that fool you, his foals range from 15.1 to 16 hh as of to date and only being bred to mostly Quarter horses he puts a range of size on them. 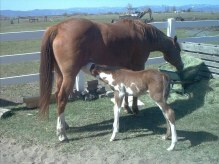 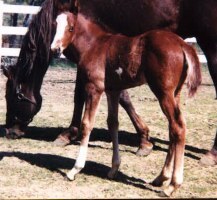 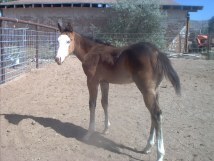 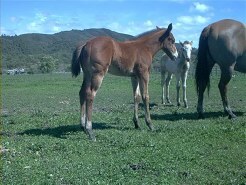 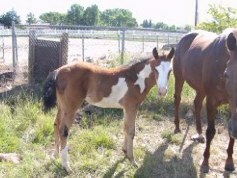 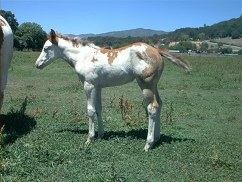 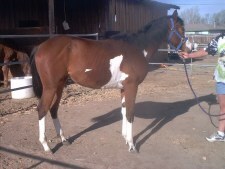 He has also produced some very colorful babies, and he is about 97% color producer on Quarter horse and Paint mares. 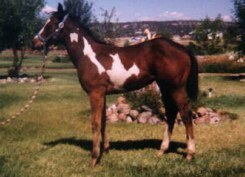 CLEVER LEE has a very eye catching pedigree of a long line of Superior Champions, APHA Ch., Superior All Around, CH. 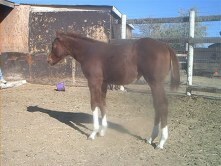 Halter Horses to working horses he has the background to do it all. 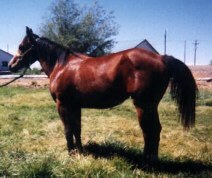 He, has proven himself to me and others that he is a horse of many disciplines along with his foal crop. 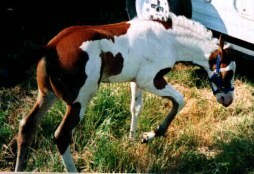 "Lee" is not just my best friend but also my partner at work, he is my Mounted Security horse for crowd control during the summer months. 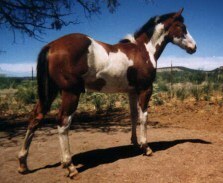 Mr Robin Boy Painted Robin Jr. 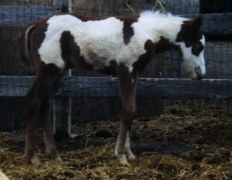 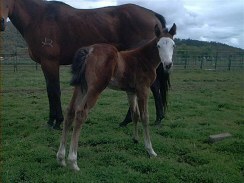 Some of "CLEVER LEE" FOALS BELOW..
Sorrel filly out of Overo mare pic- 2 days Sorrel colt out of Overo mare Pic-2 mo. 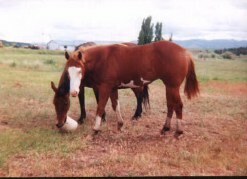 These two above are full brother and sister. 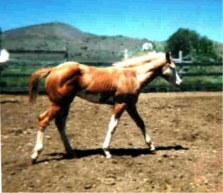 Palomino QH pic 4 mo. 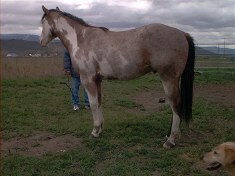 3 yr old bay overo gelding Sorrel Overo out of Bay QH mare 3-mo.